We’ve seen a friendly skeleton dance and skate his way through light paintings on Los Angeles beaches, and we’ve promoted Pixelstick, an LED projector designed for light painters. But we’ve yet to see a light painting that came from out of this world. That is, until now! Apparently one of the projects of the Japanese space agency aboard the International Space Station (ISS), JAXA, is a light painting machine by artist Takura Osaka. Osaka built a spiral top mounted with LEDs that spins through the ISS with zero gravity, allowing for long-exposure photography and resulting beautiful light paintings. Astronaut Koichi Wakata tweeted these stunning pictures of the spiral top in action along with a pic of the machine turned off. We hope Wakata tweets more images soon! 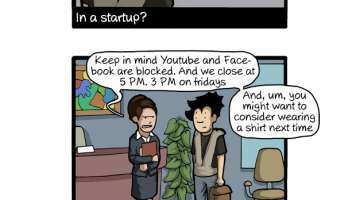 Where’s the Best Place to Code? How Many Planets in Our Solar System Can Fit Between the Earth and the Moon? 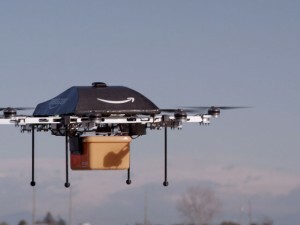 30-Minute Delivery Powered by Amazon Drones: A Solid Idea or Merely Science Fiction?